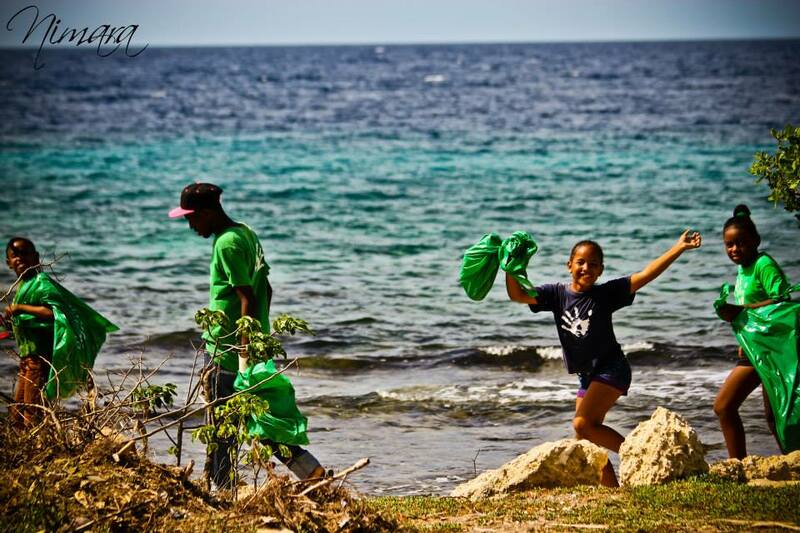 On Saturday September 21, 2013 as many as 2,000 young and old volunteers filled thousands of bags with an unprecedented 0.5 MILLION kilograms of trash (garbage, rubbish, junk) collected at 24 land, 7 beach and 4 underwater locations as part of the first annual Curaçao Clean Up. 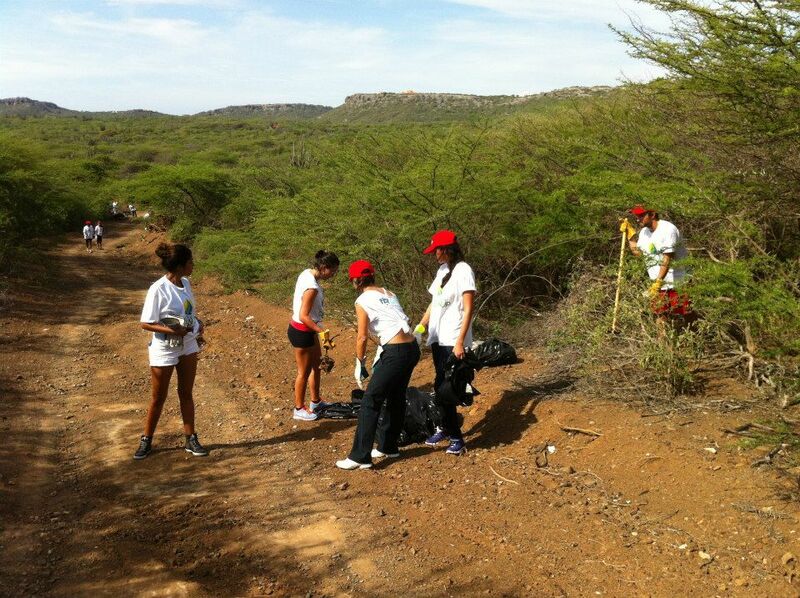 Scratching your head wondering how 2,000 people managed to pick up that much trash? 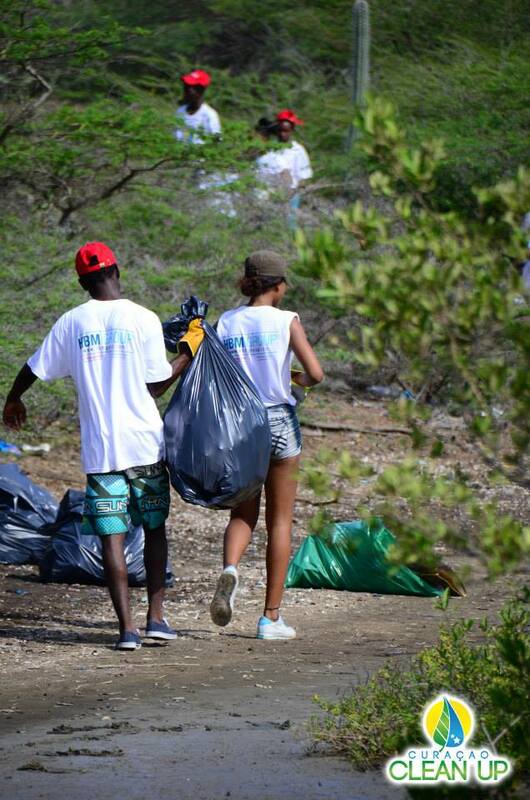 The short answer: there was a lot of trash to be had… and Curaçao Clean Up was managed by an awesome team, as awesome as they come in Curaçao. 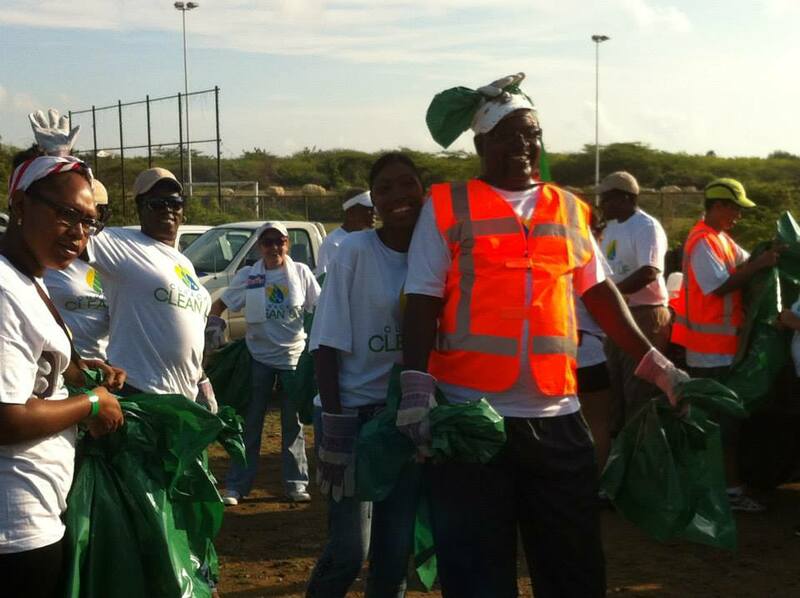 The Curacao Clean Up Dream Team. 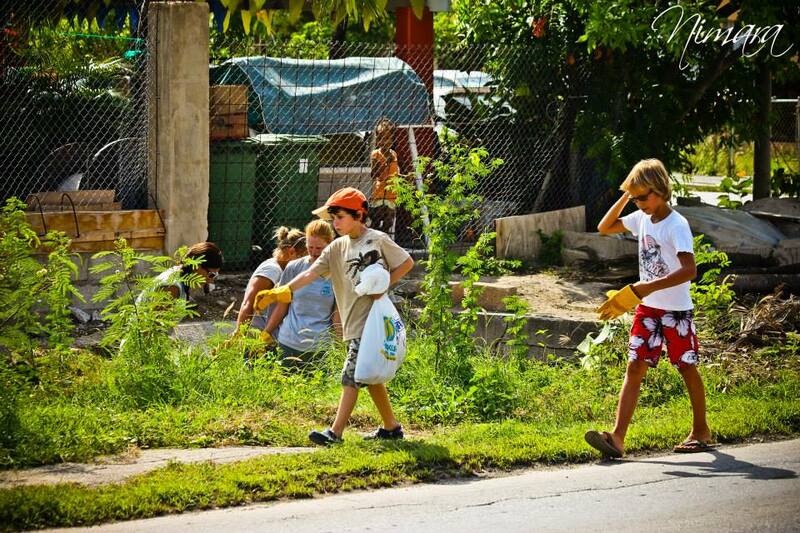 The team of 14 worked out the day’s details during four-hour weekly meetings, held over the course of three months (July through September 2013) but their preparations didn’t end there: most of them spent numerous additional hours communicating with sponsors (financial and in-kind donors) as well as recruiting the 2,000 volunteers and volunteer leaders, planning logistics, security, press etc. By my rough estimate, that’s an average of 10 hours per person per week for 12 weeks, so 120 hours multiplied by 14 people: 1,680 hours. 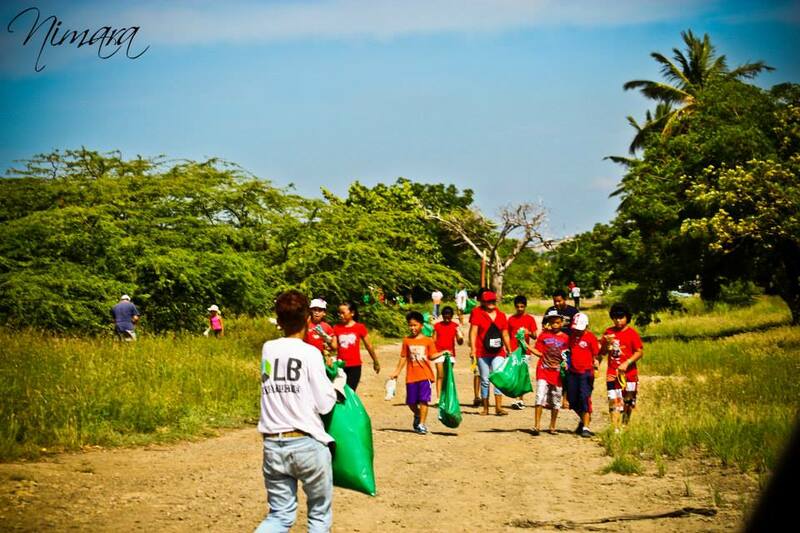 So an awesome team of 14 put in 1,680 hours of volunteer work to assemble another 2,000 volunteers to collect 0.5 million kilograms of trash over the course of 4 hours on September 21, 2013. 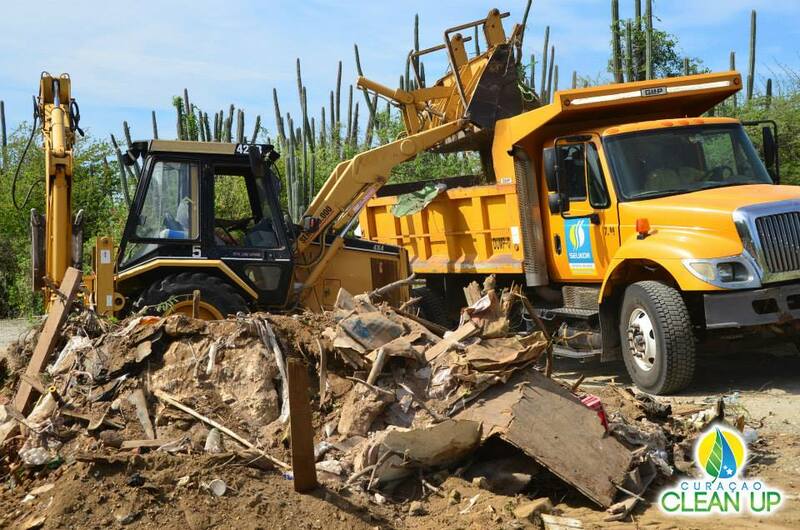 Suffice it to say, the team went through great lengths to ‘expect the unexpected’, carefully planning out all the details: from gloves to snacks, to small and large garbage bags, waste collection etc and providing safety and security for everyone involved. 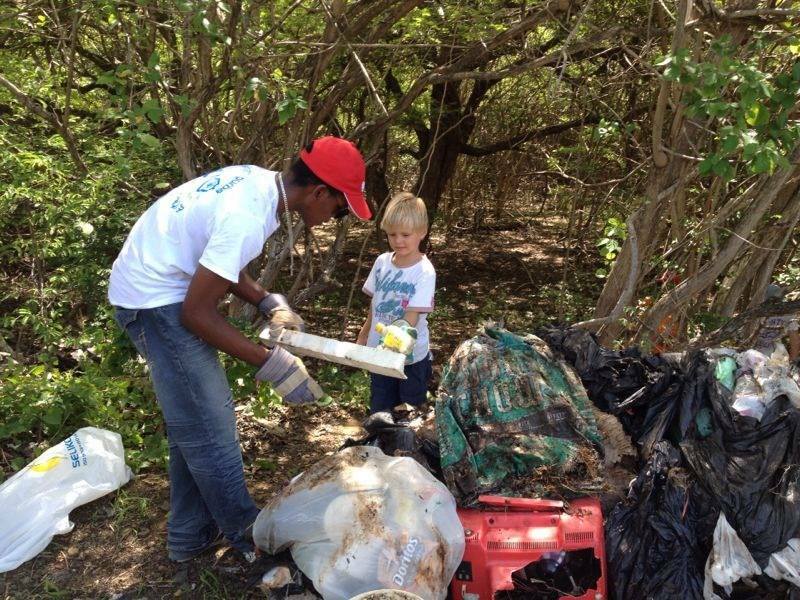 Curacao Clean Up’s Algemeen Dagblad “Thank You” card. Eye-balling the list I see over 100 private and public sector participants, including media, press and photographers. 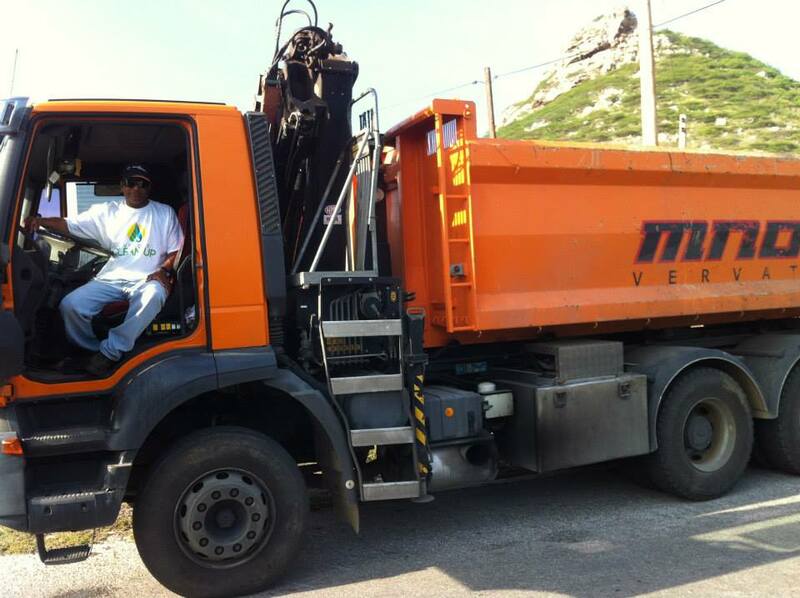 Just to summarize again: an awesome team of 14 put in 1,680 hours of volunteer work to assemble 100 private and public sector partners, resulting in 2,000 volunteers, to collect 0.5 million kilograms of trash over the course of 4 hours on September 21, 2013. The Fun Miles team got really into it. 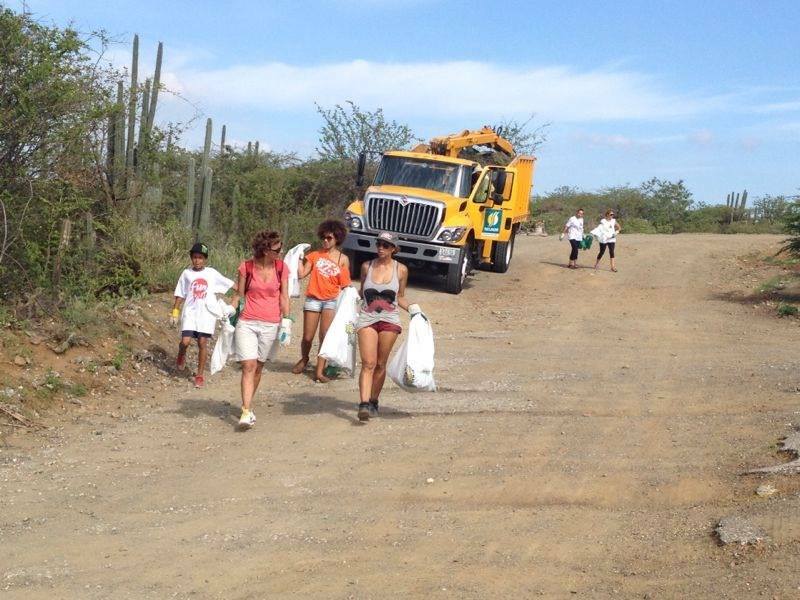 Folks were even bragging about how many bags of trash they filled! As meticulously as we tried to plan the day… we really couldn’t anticipate everything! 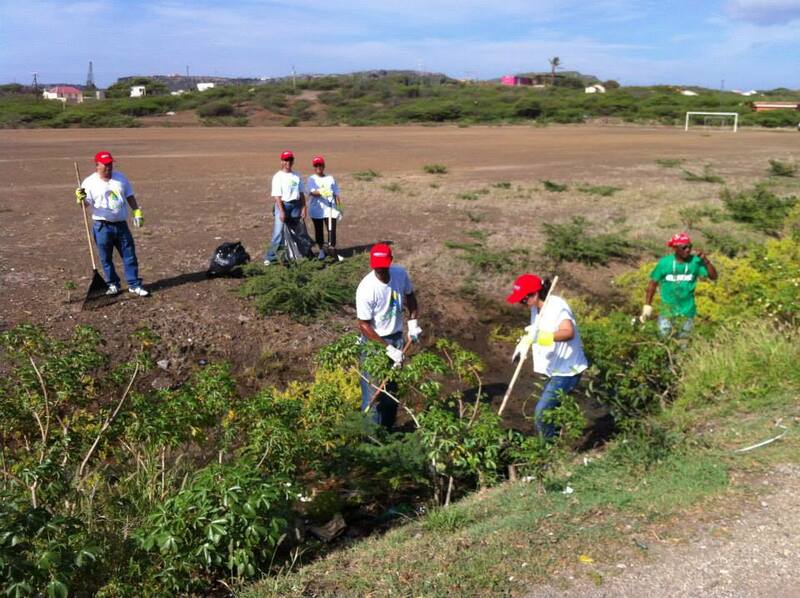 Every volunteer, every glove, every apple matters! 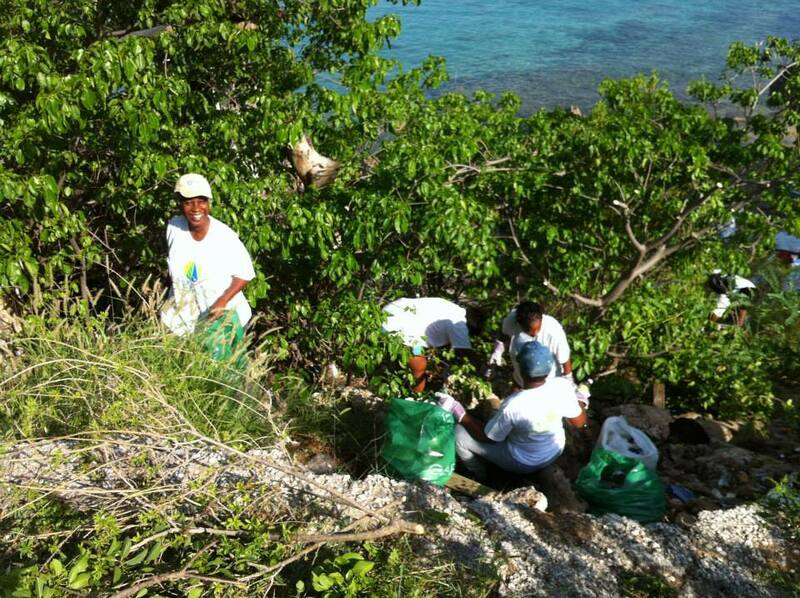 We were updating various excel sheets in real-time to keep track of the details… but once we dug ourselves out of the details, drove around and saw all the Clean Up t-shirts on that special day… folks who didn’t know each other working together to make our island a better place… It felt amazing. Sooo… will CCU become a yearly event? Yes! 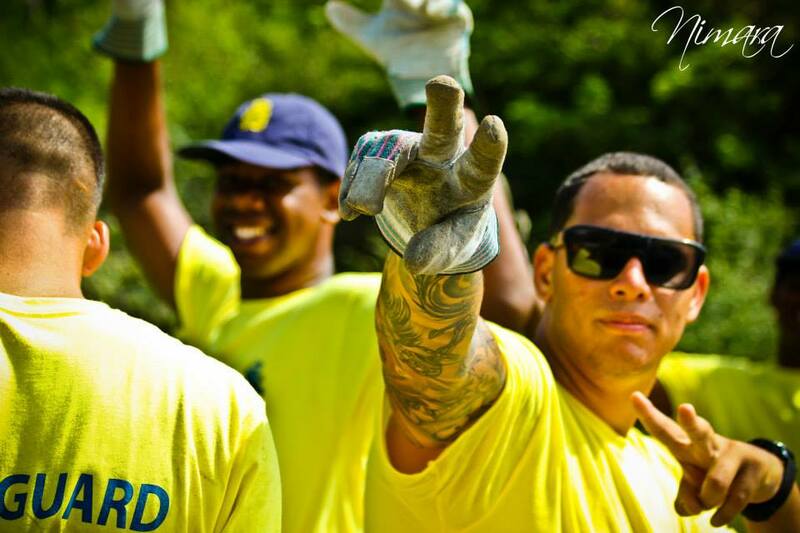 We want to keep expanding our reach. 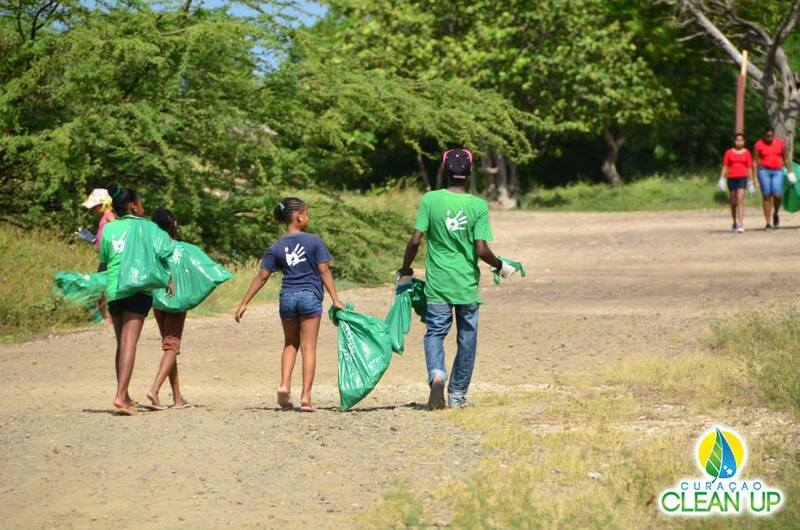 We hope to keep our message fresh throughout the year by creating awareness in school and getting involved in certain neighborhoods. 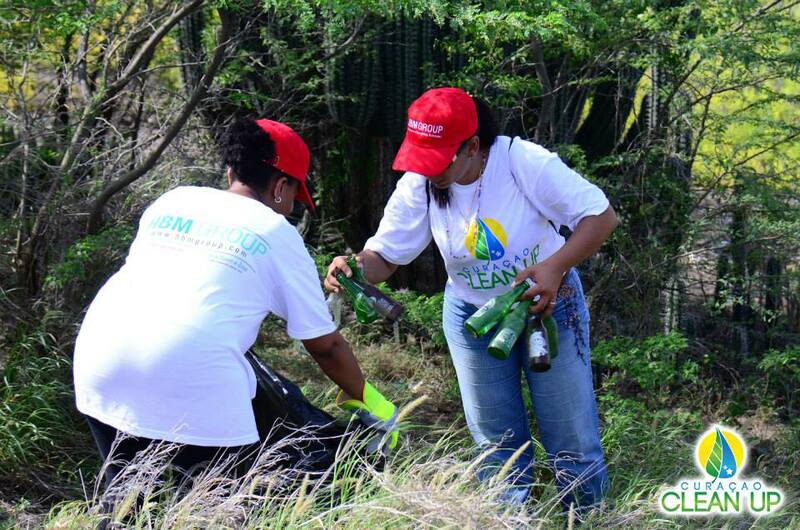 Please feel free to contact Greenforce, for information on recycling and conservation and Stichting Uniek to organize smaller cleanups.